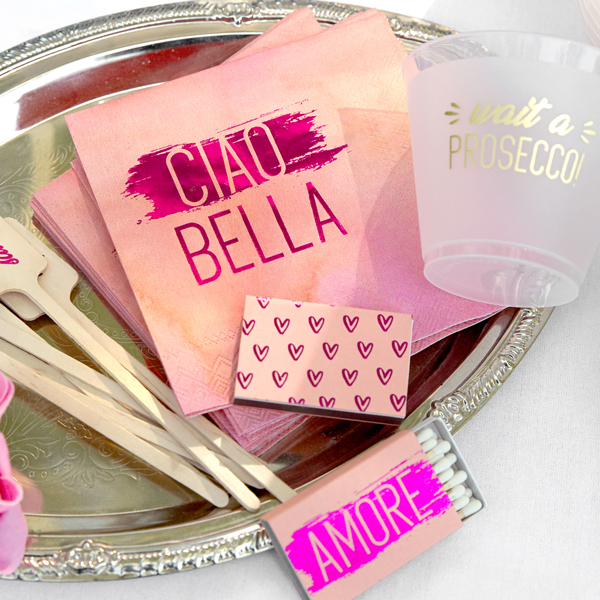 Wait a Prosecco Insta Party is the fabulous collection of party supplies you've been dreaming of to create the perfect look for your birthday party, bachelorette or fun girls' night. These designer-curated party sets will make you an admirable and effortless host in an instant. Wait a Prosecco Insta Party boxes also make fantastic bridesmaid gifts, hostess gifts and housewarming gifts. Styled to perfection and totally social media worthy, you and your guests are sure to snapping and sharing! Serves a party of 8. Keep on hand or gift to turn any moment into a picture perfect party in an instant! Just add booze...and maybe some food and friends, too. Wait a Prosecco—is that the *perfect* party in a box from ForYourParty?!? The Wait a Prosecco Insta Party is everything you need for a fabulous evening with friends. 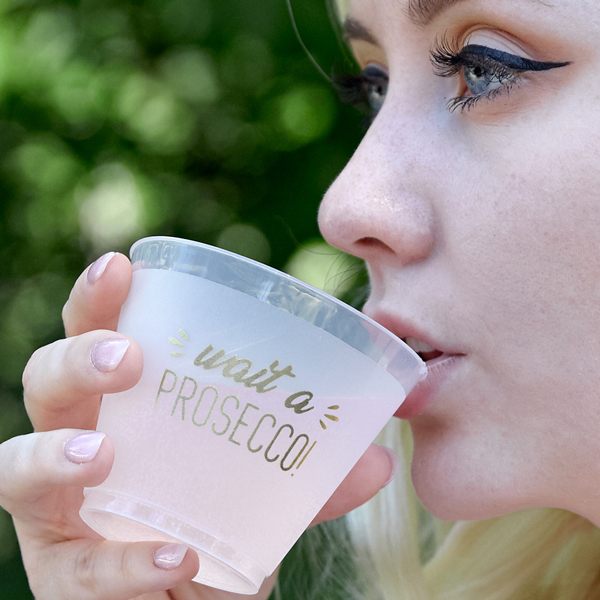 Perfect for bachelorette parties, birthday celebrations or just a girls night in, our Wait a Prosecco Insta Party delivers what you need to get the party started! 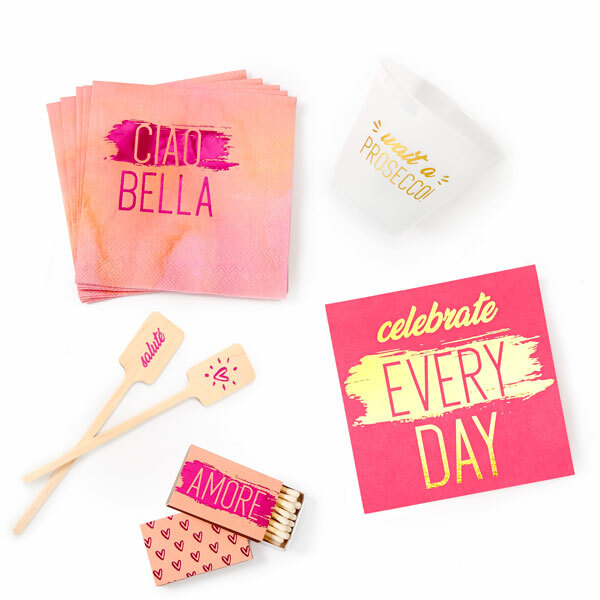 With a cute gold "Celebrate Every Day" print and a stack of gorgeous cocktail napkins “ciao bella” (hello beautiful in Italian), your party will have a positive vibe and gorgeous party supplies with the Wait a Prosecco Insta Party. Pop your favorite bottle of bubbly, fill your cute party cups and, voila! Insta Party! 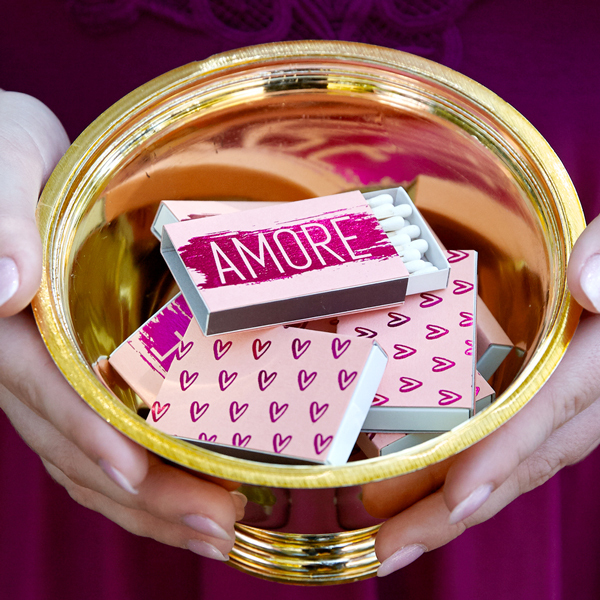 Light some candles with the classic “Amore” matches to set the mood for your Wait a Prosecco Insta Party. Feeling spontaneous? With same day shipping, this party in a box will be on its way to you before you can finish inviting your guests! Order a couple of extra party boxes to have on hand for gifting or impromptu partying. The Wait a Prosecco Insta Party box is sure to please even that one friend who just seems to have everything!